Please join us as Peach Tree welcomes Elly Taylor to Brisbane! Elly’s “Becoming Us” parenting program supports couples through each stage of their family life cycle – from thinking about starting a family, trying to conceive (or planning to adopt), through the toddler years, and beyond. This afternoon workshop is suitable for all health professionals, services, and organisations working with parents and families. With a background in relationship counselling, education and independent research, Elly’s passion and mission is to equip expecting and new parents for the changes and challenges of parenthood. 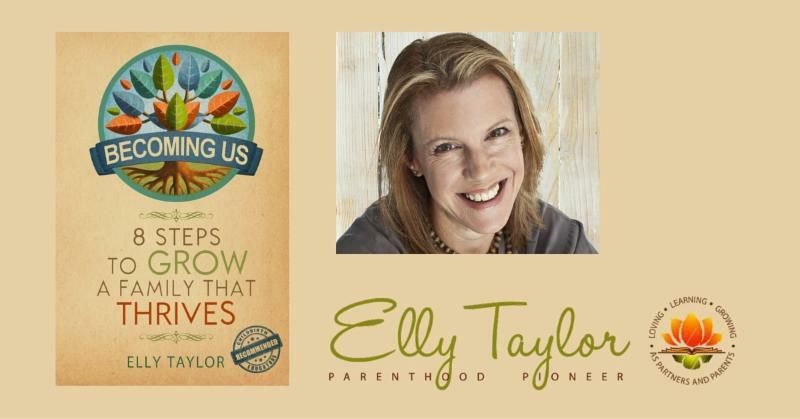 Elly is the creator of Becoming Us, a world-first 8 stage Relationship Developmental approach to parenthood which supports the mental and emotional wellbeing of the whole family. Elly is an award winning author, has presented at national and international conferences, served on the advisory panel for a number of Australian university research and local and international community projects. She lives in Sydney with her firefighter husband, their three children and a bunch of pets. It’s called the “transition into parenthood”, yet parenthood involves multiple transitions for mothers, fathers, and partners, all of which can impact both mental health and marriages. Knowing what the transitions are – and the stages for preparing for and navigating them – professionals can guide parents towards coping, growing stronger relationships and thriving as a family. Identify at least three of the transitions into parenthood that contribute to Perinatal Mental Health conditions for mothers or fathers. Describe an 8 stage Relationship Developmental model of the transition into parenthood which provides a new whole family approach (there will be a handout for this). Demonstrate ability to plant a 3 part psycho educational “seed” that helps mothers, fathers, and partners to prepare for or navigate one of the transitions into parenthood in a way that supports both parents’ mental, emotional and relationship wellbeing. PLEASE NOTE: Elly’s workshop will be two (2) hours, with a one (1) hour networking opportunity post-workshop. Registration includes afternoon tea and post-workshop glass of champagne.